The good thing about go shopping in a store is that we can chose between different options. We can compare different products and choose the best one for us. Unfortunately, this custom is changing more and more. Nowadays, the Internet is covering a huge part of the whole market, that fact is changing our customer preferences to buy from our home. Of course, without getting up from the couch. Perhaps are we so tired that we can't make an effort to go shopping? No, not at all, If we can do it from our smartphone, why should we go to the store? how stupid, right? Millennials are young people who are changing the world gradually. First, they were distinguished by using social networks. Now, they are known by the "Z Generation". Now please, look at the image below the text. In this infographic you can take a look at the gradual change of behavior in society. This graph shows us the number of people who prefer to buy by clicking. We have reached a point that going to the store to buy is seen as something that belongs to the past. It's not as trendy enough as buying by an app. 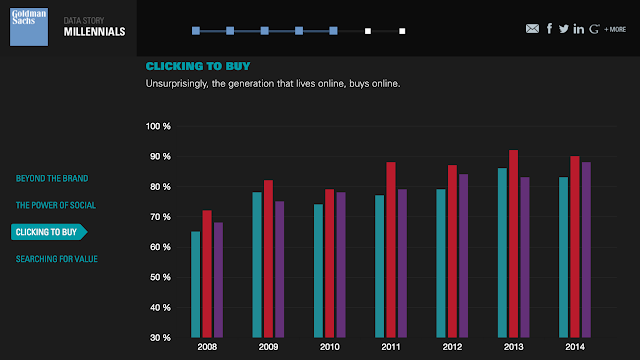 So the deduction is that the generation that lives online, buys online. Can Millennials give up social media? Millennials are really hooked on social media! It is very difficult for them not to be continually sharing feelings, experiences and moments of each day. This video jokes about it, but we don't realize how serious it is. Millennials live by and for social media, and when they don't have access to them, they feel lost. Millennials were born in the last decade of the last century. They are in social networks and know exactly how to use it. Teamwork is necessary and essential for a successful outcome, as well as being an entrepreneur worker. In this video are further defined this new generation for us to know them better. We must think that they have already changed a lot of things but they will change a lot more over time. Millennials love to consume online content, update it and to upload new archives. To reach this generation is neccesary to know how to control the Social Media and explote each social network to follow the new tendencies and to take an advantage of new comments and hashtags. Be trustworthy: Young people expect brands to be transparent, to trust in them and if they feel they have been betrayed, they could speak ill of your company, losing a customer. Use all Social Networks: A lot of companies are used to have only an account on Facebook thinking that is enough. That fact coul be but as a company, you shoul have online presence and to use the social netwirks which are more suitable for your products or services. Quality content: We shoul generate content easy to share and to read. Influencers: Not only important bloggers or experts are influencers. Consumers can be influencers because nowadays, everyone, who is in this generation, use social networks having a lot of followers or friends. For this reason, you have to offer a good customer service and to solve their problems instantly. Competitors: A golden rule on Marketing is to be better than the competitors. The social networks allow us to see what they are doing and to see which needs they are not able to cover to the potencial customers, getting attract new customers. Feedback: Finally, the feedback with them is essential , they interact on the Internet looking for instant answers and also have a direct conversation with them, helps us to understand what their needs are , rather than acquire information through a study which would be a big expense. Television has been the king of all media for young people, thus, it has been the most choosen by advertisers and publishers to generate engagement or to launch its products or services. But digital natives are changing the game and their consumption preferences are changing at the same time. According to a study by Nielsen, "Are Young People Watching Less TV?" 2015, people from 18 to 34 years old, in the US market, consume 22½ hours, which means that the average consumption has dropped 47 minutes compared to the previous year. This data, are important to have a global vision about how new generations change and pull the brands to change as well. That fact is not only taking place in United States, also, in the rest of the countries. This is critical because nowadays, the market is global. Now, we can talk about, VOD, video on demand and online television. 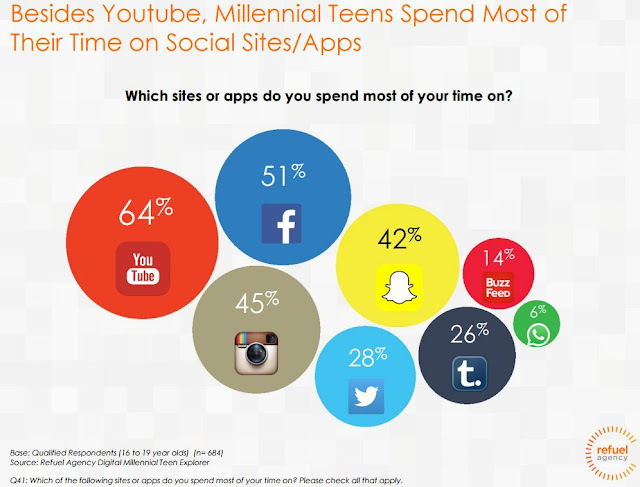 Gen Y prefer to chose the content and chose when they want to see it. In addiction, streaming TV programs and the use of different platforms or Websites to consume or generate new audiovisual content, are rising up each year. This is reflected in how brands are changing their products to adapt them to this new media, the Internet, a great example, is the Smart TV's. 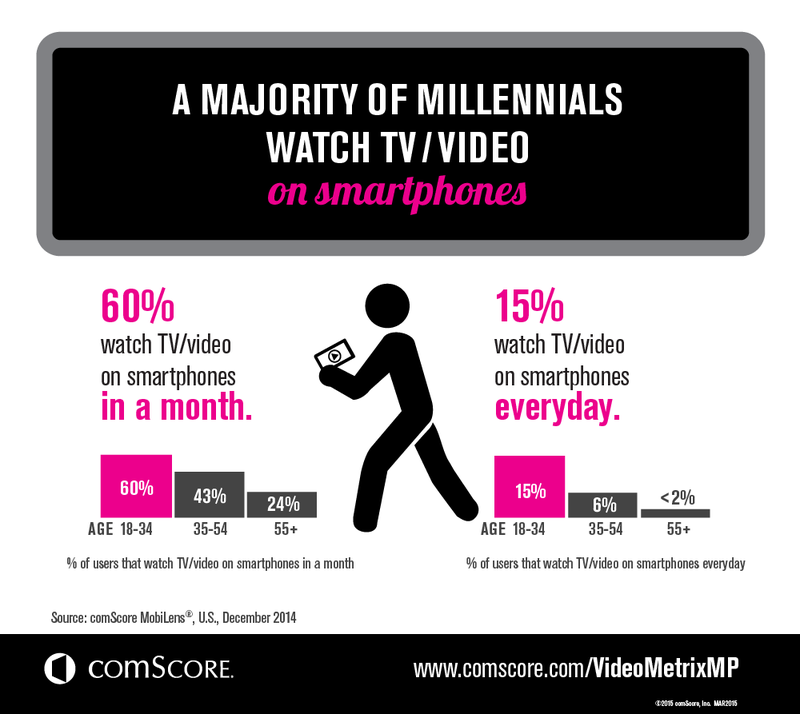 The use of second or third screen is very common in Millennials. When the are seeing a TV program, they have the need to share what is happening in real time. For that reason, a lot of series or TV programs, have generated hashtags around its contents. So, Are Millennials killing the traditional TV? They do not reject the TV but the prefer to consume the same content in a different format. According to a study by Verizon, a 40% of Millennials prefer online TV than traditional TV. This is a good new to advertisers and publishers because if they plan a good Digital Marketing Plan, they are going to be able to impact a segmented audience and to adapt its content to the user's searches or their preferences. Generation Y or Millennials (ages 18-34) are living a difficult situation, in fact, these days are denominated as the worst economy since the Great Depression. But this generation are hopelessly optimistic about the future because they are adaptable. Here's why this generation will make it, despite the odds. For example, Millennials are engaged with new technologies and they are looking for new ways to work. In fact, new kind of jobs came with Millennials, improving the economy and creating new professions. Smarphones run the world. Around 2.6 billion people own an smartphone and use it actively. This figure will increase by 2020, that means, 6.1 billion people who will be a 70 percent of the world's population who will have a smartphone. This fact is changing the way to buy, the way to communicate each others and the way to manage the banking. Brick and Mortar banking is not too popular, over half of the people surveyed use online banking and over one-third part of them use mobile apps. Millennials is the key generation, they are trailblazers using smartphones and mobile apps. They are usually aware of the lastest developments. The generarion before Millennials, Gen X, are starting to use mobile apps relationed with the banking but they need to trust in that App to use it, they need to feel secure when it comes of personal data and money. User's experience and App's usability is a critical point. If an App runs slowly, users would uninstall it or stop to using it. Currently, banks have an opportunity to reach young people and to change customer behaviour. If they create a good and a secure App, that fact could be an advantage over their competitors. By 2017 in US, 108 million people will use mobile banking. Smartphones are becoming something so personal, and the iGeneration, Millennials who trust in their devices to make a lot of things, are not afraid of the Internet, moreover, banks and brands have a huge job with GenX, because they see this media like a nightmare, the new objective is to convince them to trust on the Internet and to make easy and attractive Apps to engage both generations.